My mother, Thorin’s Bubba is living with us following a hospital stay. She was with us for a month in February after she passed out in a restaurant. Bubba has not had a great 2015: she has been hospitalized 7 times arriving each time in an ambulance. Most stays were for congestive heart failure and the remaining from a broken rib from a fall and a surgery to have a defibrillator implanted. She has also had 3 separate stays at a rehabilitation facility. There have been countless doctors visits. 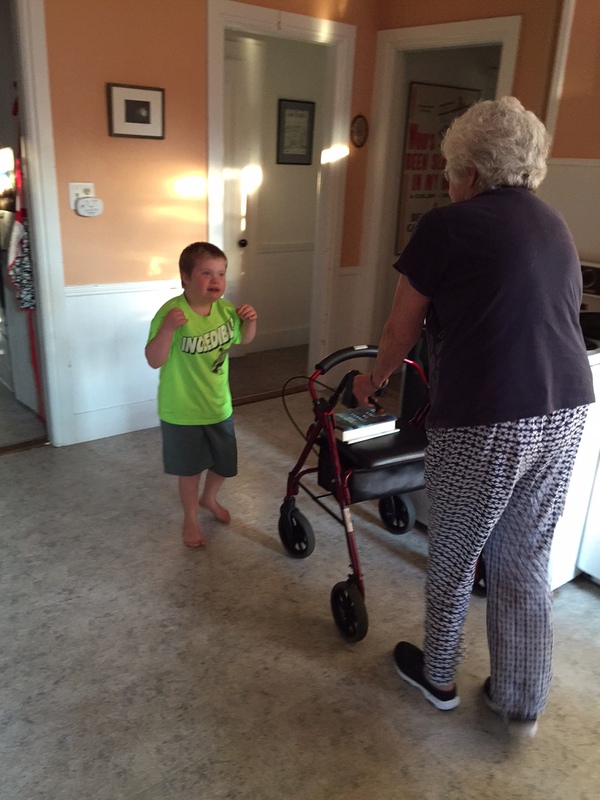 Bubba moved here to Maine in August, 2012 to be near Thorin, her only grandchild. She was 81 years-old and had lived in her small city in Wisconsin since birth. 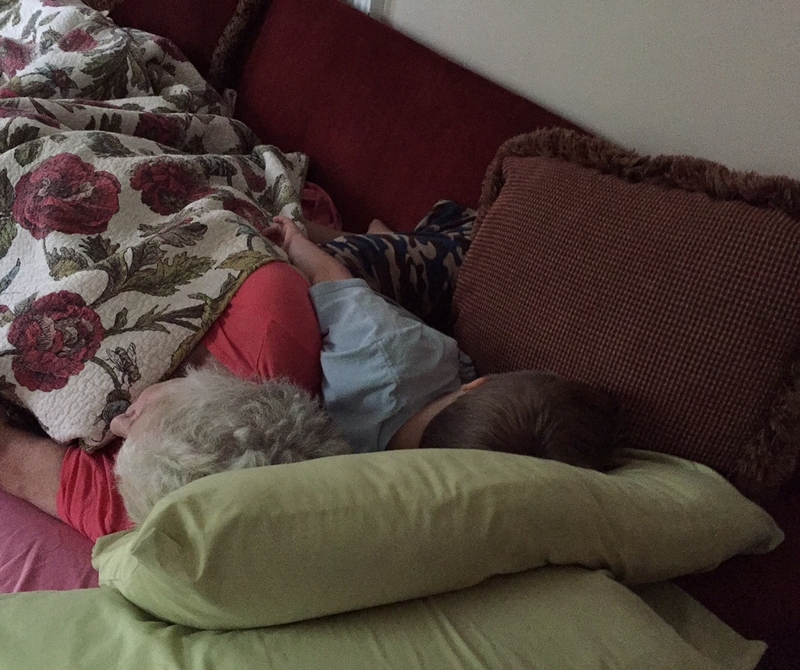 Thorin and Bubba are grandmother and grandson but they are also friends. For more on that: The Thing With Two Heads and Sea Change. Since Saturday, Thorin has kept a close eye on her. I found him sleeping with her when I went to check on him during the night. Upon waking to her stirring he told her: “Bubba, walker!” He wanted to make sure she didn’t just walk out into the kitchen. This afternoon we all sat outside reading. It was so beautiful and nice and regular. We need regular right now. Thorin and Bubba are fortunate to have each other. A lot of love in this story.